Beni Ourain Rugs – The Beni Ourain Moroccan “tribe” is made up of 17 different Berber tribes that live in the Atlas Mountains. Some have come to the lowlands to farm, but many still raise sheep at the higher up elevations. The sheep produce excellent high grade wool which goes into the beautiful rugs made by the Beni Ourain tribes. 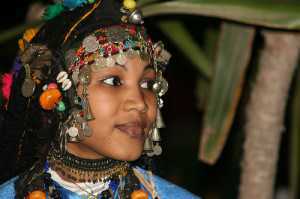 Certain tribes in Morocco have preferred colors. Natural dyes were used exclusively in Morocco until the mid to late 20th century. Natural dyes included henna, almond leaves, indigo, iron sulfate, cochineal among others. The true authentic vintage and mid-century Beni Ourain rugs add a sophisticated and simple look and feel to any room’s decor. This makes them sought after by the top interior designers who love them and look to feature them as rugs decor. Women, for the most part, weave the rugs. They incorporate design elements from their personal experience into the carpet’s designs. Usually, the design were created as references to natural events and aspects of daily life such as birth, fertility, nature, femininity, rural life, beliefs and / or spirituality. But some of the Beni Ourain tribe people who wove these rugs, believed that the carpets could even ward off evil spirits. Therefore, they incorporated and made sure to add design elements and lucky charms to ward off the evil eye and bring luck and prosperity. 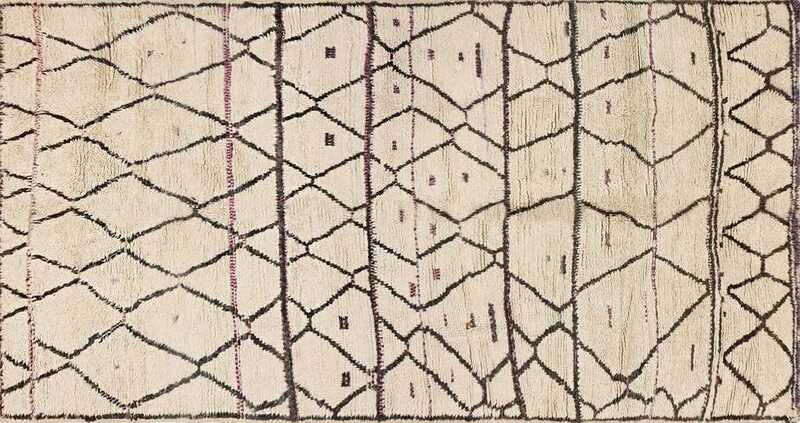 The traditional style and patterns of the Beni Ouarain rugs consists of mostly geometric black or brown lines that create abstract and diamond shapes on a cream or whitish background. Most of these carpets will not have a border and some might have fringe while others will not (and some might have fringe on one end only). The rugs are handwoven and can last a lifetime if not more. Originally, these Berber carpets were used as bedspreads or blankets and not decorative floor coverings. They had a “loose structure” to conform to the shape of the body and thick soft pile would be a great way for them to keep warm in the harsh atmosphere of the Atlas Mountains. Knots are tied in a very specific way and the pile is deep or shallow according to the purpose of the rug. 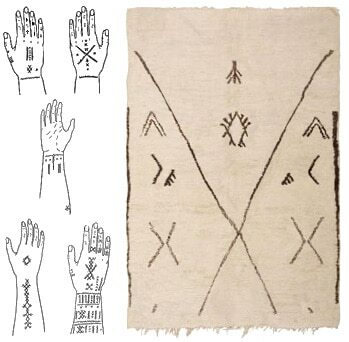 Other designs include talisman symbols, characters from the Ancient Berber alphabet and geometric patterns reminiscent of the old Native American, Navajo rug designs. The vintage Beni Ourain rugs are mostly neutral in coloration and abstract in design. This is why they can be easily incorporated in today’s modern decors. Their versatile modernist look combined with their considerably low price points, makes them an easy choice for people from all walks of life. The vintage Beni Ourain rugs were not mass produced. No two rugs are alike and all were made to withstand the test of time. There are many websites and dealers who sell these types of Berber carpets. Some of the carpets are old,some new and some in the middle but these factors are important as far as value is concerned. Many Beni Ourain carpets are from the mid-twentieth century and they are becoming increasingly difficult to find. Many of the new “Beni Ourain Rugs” are not made in Morocco but dealers still refer to them as such because the designs were created to mimic them. It does not take an expert to be able to differentiate between the real McCoy and the more commercial or even new counterparts. The older ones have a softer, more supple texture and are far more interesting in design. In addition, the “real” carpets were never produced wider than about 7′ so if you come across a Beni Ourain rug that is 12 feet by 18 feet (just an example) then the overwhelming chances are that you are looking at a newly produced carpet that was not even woven in Morocco. Morocco’s magnificent vintage Beni Ourain carpets have a common modernist thread that links them to world renowned mid century moder designers such as Alvar Aalto, Le Corbusier, Charles and Ray Eames, Frank Lloyd Wright, Marcel Breuer and Arne Jacobsen. Shag carpets were the ultimate interior accessory during the mid-20th century. That said, the sophisticated nature of the Moroccan Beni Ourain rugs, make them even more luxurious and tasteful. Due to their widespread use by the greatest designers of the 20th century, Morocco’s Beni Ourain carpets have become definitive representations of an era when the classically modern style was born. These exceptional carpets have rich textures, chic colors and cryptic surface decorations. This combination of traits makes vintage Beni Ourain Moroccan carpets the ultimate accessory for highlighting the sleek lines of minimalist decor and proving that less really is more. It is one of those wonderful and happy accidents of history that the aesthetic values of a group, of semi-nomadic tribal people, in Morocco, would be so admired by mid-twentieth century interior designers in North America and Europe. Indeed, the wonderful series of coincidences that made for such a fascinating development — the fact that the Beni Ourain were shepherds and goatherds with access to fine wool, their location in the Atlas mountains, their traditional way of life, and the rapid changes in design that occurred in the post-war period in the Western World — is really one of those things that is stranger than fiction, but very true. Moroccan rugs in general are beautiful works of folk art. Made by untrained individuals, in secluded locations, these rugs offer us a glimpse into the psyche of the artisan who created them. There is no doubt that they were far more advanced than most people think and it is this anomaly that fascinates art historians and consumers alike. In the end, the demand for quality Moroccan rugs is higher than it has ever been. Because of the myriad of interesting cultural factors that have given them their unique and fantastic style, Moroccan carpets are admired and sought after all over the world, both by experts and by laypeople intrigued by their timeless and distinctive beauty. 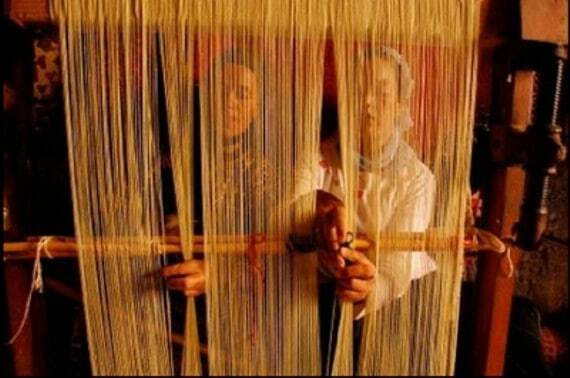 Morocco has a long history of weaving some of the most beautiful rugs in the world. The ancient weaving started before the 7th Century with the Berber tribe, people of North Africa who settled in Morocco during this period. For thousands of years, the women of the tribe have woven exquisite hand knotted wool rugs inspired by tribal ceremony and symbolism. 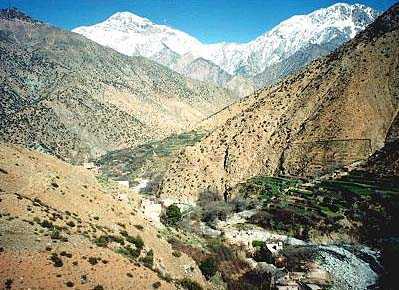 The Berber tribe still exists today, living in the Atlas mountain regions of Morocco, where the ancient weaving techniques are preserved and passed down from mother to daughter. The Berber tribe is still responsible for producing the majority of handmade Moroccan rugs in our marketplace. Moroccan rugs are unique in their designs, patterns and colors since each rug is woven without any diagram or pattern to follow. The weaver interprets important designs and patterns that are relevant to daily tribal life and reproduces these motifs in the rug. Rugs often tell a story of tribal ancestors or the weaver’s life combined with tribal superstitions that are a strong part of these remote rural regions. Characterized by geometric patterns that are often asymmetrical and rich vibrant colors reminiscent of church stained glass windows, Moroccan rugs work well to accent contemporary interiors and architecture. Bold colors like reds, oranges, yellows, blues, greens and purples are mixed with naturals, browns and blacks representing colors found in nature, plants and wildlife indigenous to the region of the tribe. The dyes that produce these vivid colors are made from plants and berries like henna, madder root, pomegranate, figs and tea leaves found abundantly in the mountains. The natural and black wool used comes directly from sheep and goats in the area, like the black-haired goats that roam and climb the Atlas mountain areas. Each weaver determines the design, pattern and color as the rug progresses, so no two rugs are ever alike and each rug can take years to weave. A Moroccan rug is a one-of-a-kind masterpiece, a work of art, that will provide beauty for a lifetime. With proper care, colors will not fade and wool will not wear out, leaving a rug that can be passed down for generations. Beni Ourain Rugs – The Beni Ourain is a group of Moroccan people that is actually comprised of seventeen different Berber tribes, all of whom hail from that country’s Atlas mountain range. A semi-nomadic people, the Beni Ourain are primarily shepherds and goatherds who have historically raised their livestock high in the mountains, moving with their herds from one graze land to the next. 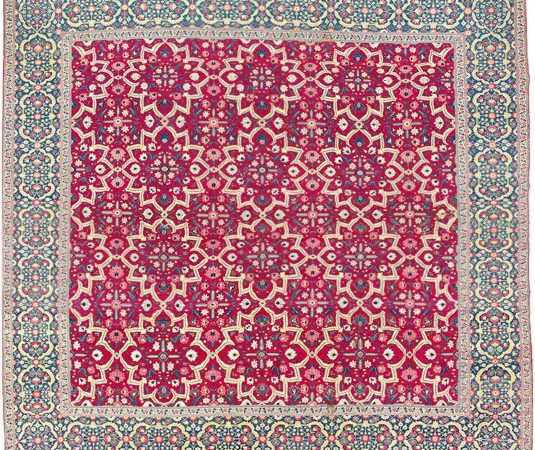 It is in large part due to the extraordinarily fine wool produced by this livestock that Beni Ourain have historically produced such fine rugs and carpets. Because of the diversity of the seventeen different tribes that make up the Beni Ourain, there is a fascinating and subtle difference in the patterns and design elements present in the rugs and carpets that they produced. While some Beni Ourain tribes have preferred colors – always utilizing natural dyes – other tribes have preferred monochromatic design elements. This beautiful Moroccan Beni Ourain Rug Showcases the sublime beauty of these works. 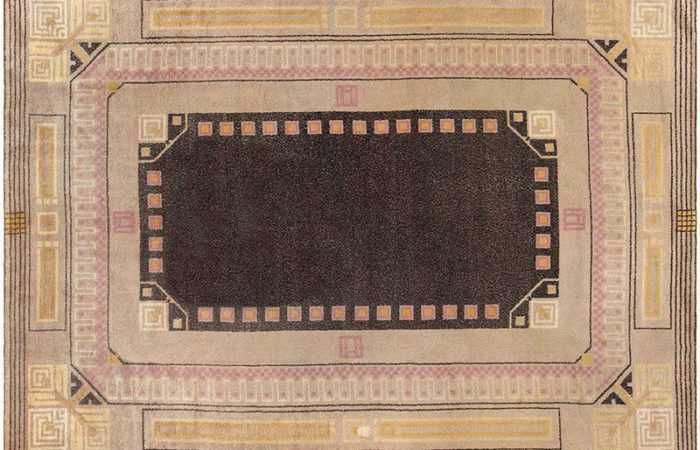 Those rugs and carpets that are most broadly representative of the aesthetic of the Beni Ourain, however, are those that boast geometric designs: lines of black or brown that come together to form grid and diamond patterns. It is a combination of these seemingly disparate factors – the fine wool harvested by the Beni Ourain and their penchant for abstract, geometric art – that make Beni Ourain rugs among the most desirable in today’s rug market. Thick, shaggy rugs with tantalizingly abstract designs were championed by the leading designers of the mid-twentieth century, including Frank Lloyd Wright and Le Corbusier, bringing the ancient Beni Ourain rugs into the forefront of the design world of today. It is a fascinating set of historical and cultural developments that have made Moroccan rugs as popular as they are today. 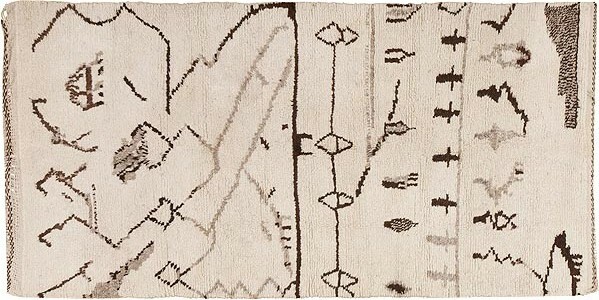 The Beni Ourain – with a penchant for abstract symbolism and geometry as well as a steady supply of fine grade wool – happened to be weaving rugs and carpets that would be perfectly suited to the design aesthetics of the Western World in the decades following the end of the Second World War. Moroccan rugs by the Beni Ourain remain among the most desirable pieces today, and are sought after the world over, both by experts in antique Oriental rugs and everyday people who appreciate the lasting artistic value of such rugs. While the rug price for Beni Ourain Moroccan rugs is still considerably low, this is a great time to buy these phenomenal works of art! Since the shipping to you is on us, why not try one of these pieces in home. 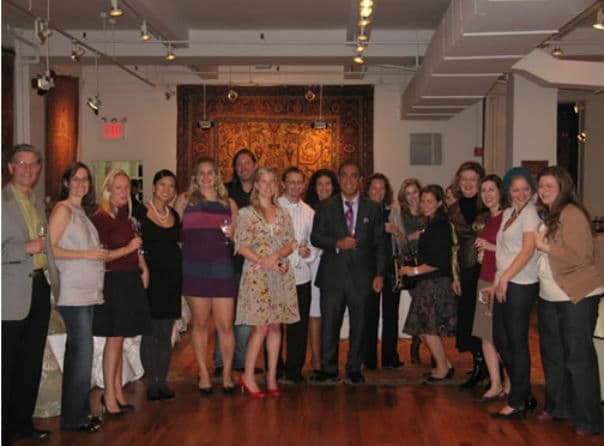 This rug blog post about Moroccan Beni Ourain rugs was published by Nazmiyal Antique Rugs in NYC.